The Pugh is an exotic boot handcrafted with a smooth ostrich foot and quilled ostrich overlay. The black leather shaft offers a sleek, refined look. 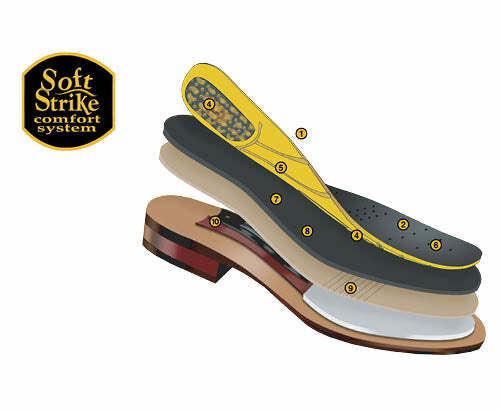 Full leather lining, round toe and Soft Strike Removable Orthotic ensure you won't have to compromise comfort for class.